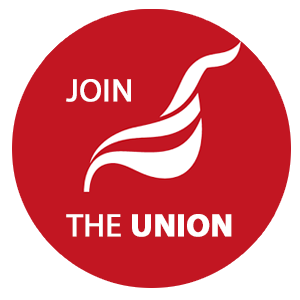 A branch delegation to last weeks lobby of the TUC organised by the National Shop Stewards Network (NSSN) heard our branch secretary Suzanne speak from the platform at the rally. Hundreds of union activists crowded into the NSSN #KillTheBill rally before the start of TUC Congress in Brighton. Buoyed by the victory of anti-austerity candidate Jeremy Corbyn as Labour leader the previous day, they heard speakers from the all layers of the union movement. Union general secretaries Mark Serwotka PCS, Mick Cash RMT, Matt Wrack FBU, Ronnie Draper BFAWU, Dave Ward CWU and Steve Gillan POA spoke alongside rank & file union reps and activists Suzanne Muna Unite EC, Tony Seaman Teesside ‘Pay the Rate’ construction protestor, Isai Priya Tamil Solidarity, Corinthia Ward from Youth Fight for Jobs and John Vasey, a sacked Royal Mail rep.